I'm giving you some contextual clues this week. 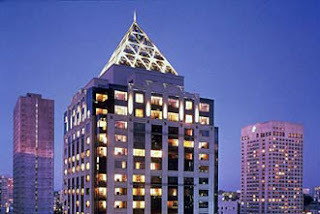 Where in Seattle is this? 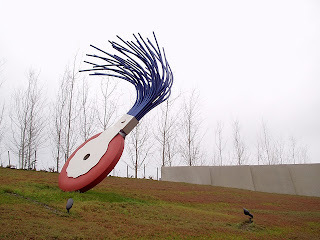 Last week's haircut, er, picture, was from the giant typewriter eraser (Typewriter Eraser, Scale X)in the Olympic Sculpture Park. The sculpture is by Claus Oldenburg, who has done many similar pieces with his wife and collaborator Coosje van Bruggen.